Looking for home inspiration? Great news! Austin will be host to two events for homeowners and prospective buyers to get ideas for their current or future home. 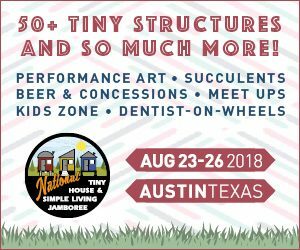 Come and learn about the small-living movement at the Tiny House & Simple Living Jamboree! Fun for the whole family with demos & tours of 50+ tiny structures, guest speakers, food vendors and kid zone. Featuring celebrity guests and the latest products and services from builders, remodelers, contractors, building materials, decks, pools, spas, entertainment systems, storage solutions, plants & landscape displays, kitchenware, home accessories and much more. The 23rd Annual Home & Garden Show is a family friendly event that can’t be missed!